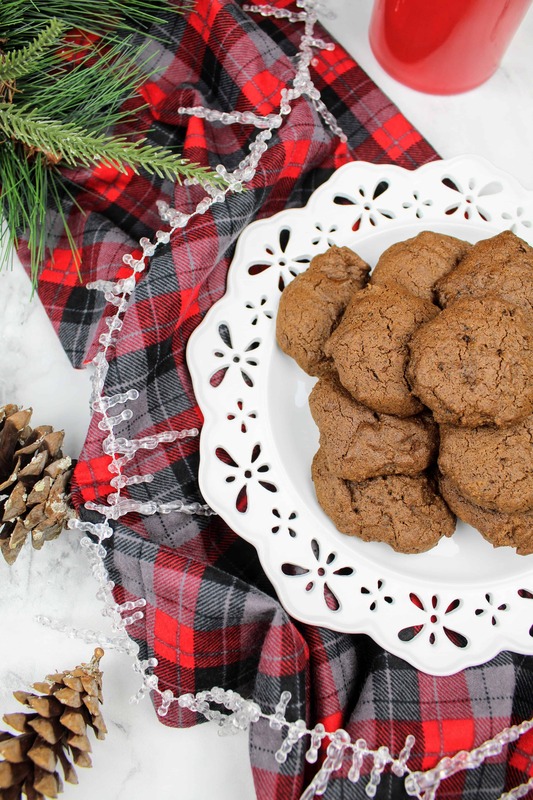 It just wouldn’t be Christmas without baking chewy molasses cookies. When I think of Christmas and the holidays in general, I think of the exact smell of these cookies. While they’re not gingerbread, they are a close relative and they make your house smell so wonderful. No other Christmas cookie gets me more in the spirit than these, because of their scent. Now, I have revamped this classic cookie a bit. I have made them vegan AND gluten-free! I’ve been wanting to venture into vegan baking territory for a long time now, but I have found a lot of the recipes off putting due to all of the expensive, obtuse ingredients I would need to purchase. I tried to keep things simple here, and the cookies taste EXACTLY like the original, which I was surprised at. 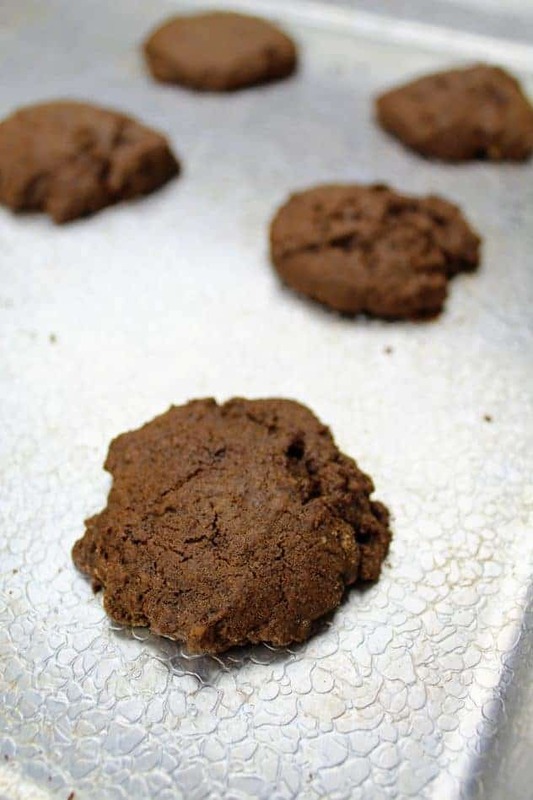 These chewy molasses cookies also have a crispy exterior and a nice chewy interior. Now, they are missing the crinkle top, but who cares! As long as they taste the same :). For those of you who aren’t vegan or gluten-free, I have also included the original ingredients in parentheses. To me, they taste similar to a gingerbread cookie but spicier. This version in particular makes use of cardamom which can give it some bite. Yes, it can spoil. But, molasses usually keeps for a long time. The molasses that I just used (organic, unsulphured) is on year 3 after being opened. While you don’t have to store yours in the refrigerator, that is how I have been storing mine. The only disadvantage is when you go to use it, it is very hard to get out of the bottle. If you keep it in the refrigerator and plan on using it in a recipe, pull it out a few hours in advance so that it is easier to pour out. 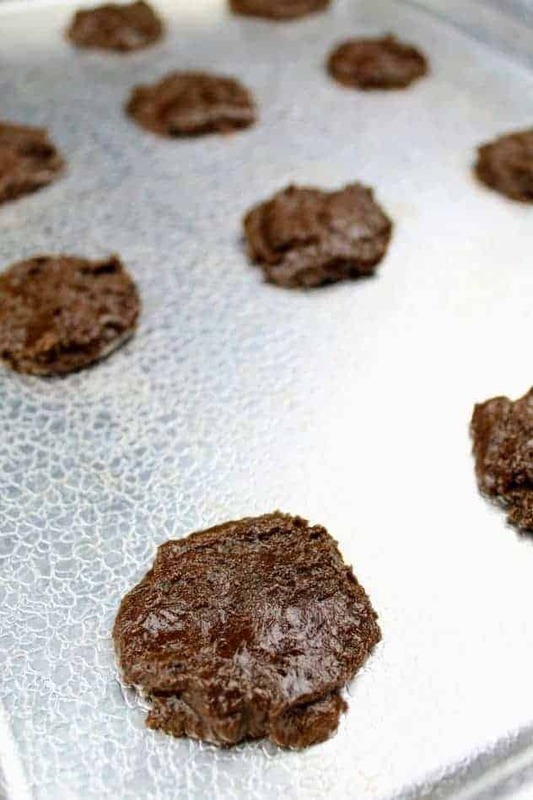 To determine if your molasses has gone bad, visually inspect it for mold and smell it. If you see mold and/or it smells off, then toss it. If it passes these two tests, then give it a little taste. If it passes that test, then you are likely good to go. If you are ever in doubt though, throw it out! 1. Preheat oven to 375F. 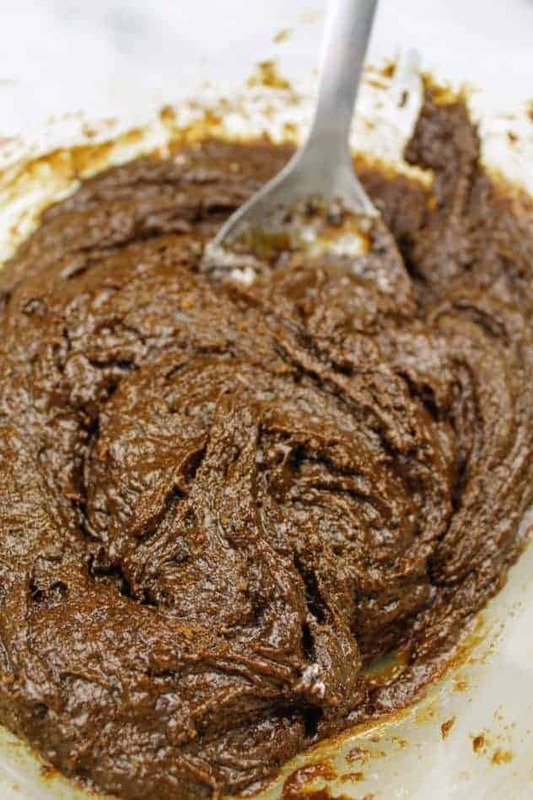 In a large bowl, mix together butter, olive oil, molasses, applesauce, brown sugar, granulated sugar, salt, cardamom, ginger, cinnamon, and baking soda until well blended. 2. Add the flour to the mixture in two additions, mixing thoroughly after each. 3. Drop dough by rounded tablespoons onto an ungreased tray. Press down slightly, as these cookies do not spread. 4. Bake for 8-10 minutes, or until cookies are puffed, cracked, and just set around the edges. 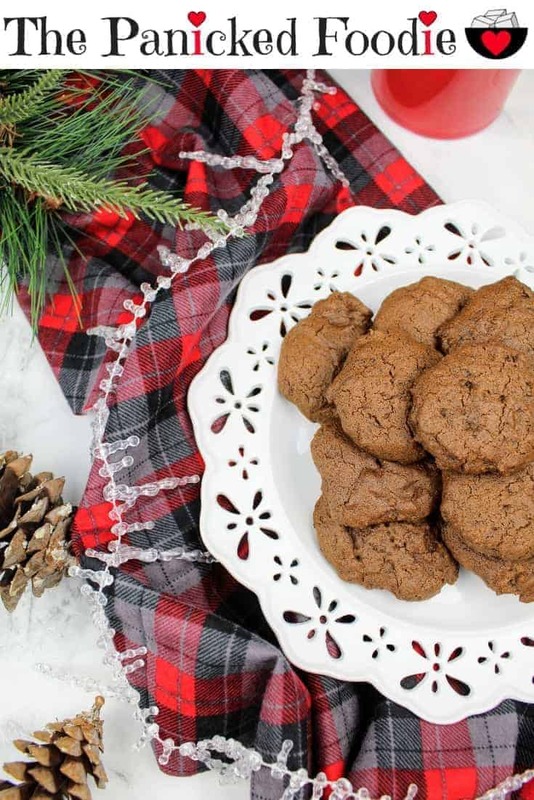 These cookies are the perfect Christmas treat! A crispy exterior, with a chewy interior. 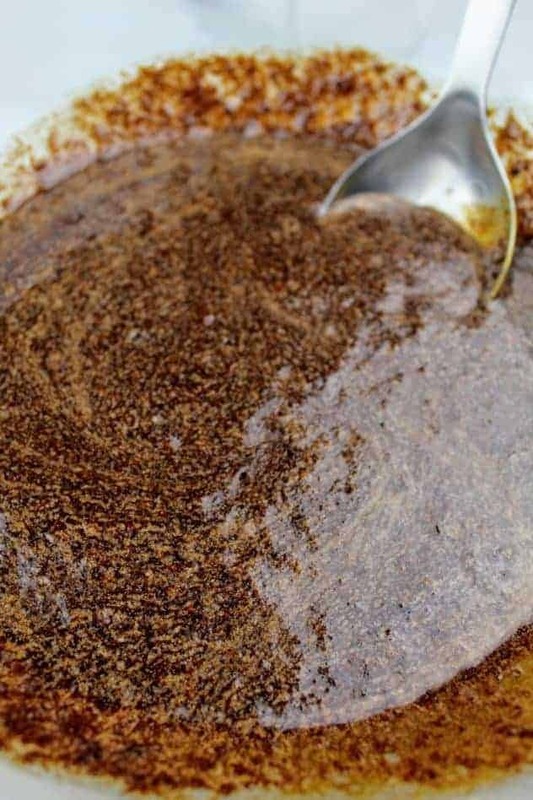 In a large bowl, mix together butter, olive oil, molasses, applesauce, brown sugar, granulated sugar, salt, cardamom, ginger, cinnamon, and baking soda until well blended. Add the flour to the mixture in two additions, mixing thoroughly after each. Drop dough by rounded tablespoons onto an ungreased tray. Press down slightly, as these cookies do not spread. Bake for 8-10 minutes, or until cookies are puffed, cracked, and just set around the edges. Oh my goodness this looks absolutely delicious!! I will definitely have to give this a go, I am a big fan of a good chewy cookie. 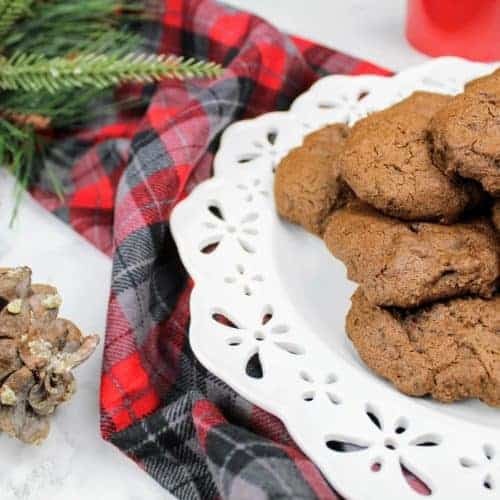 These Chewy Molasses Cookies look perfectly scrumptious and indulgent. I imagine your home smelled wonderful like Christmas morning with hits of fresh gingerbread. Oh wow those cookies do sound lovely. I love the addition of the spices to the recipe to add that extra deliciousness. I will not wait for Christmas to make these cookies. I am going to get the ingredients together and make them tomorrow. Thanks for the recipe! you have given us such a craving now! we just can’t wait to make them ourselves! Oh wow they sound delicious! I love chewy cookies! There’s nothing worse than a brittle cookie! These cookies look delicious! I’m going to pin these for Christmas time!